Cancer is thought of as a disease of the middle-aged and elderly but cancer is a leading cause of sickness and death in children. Over 160,000 children worldwide are diagnosed with cancer each year and an estimated 100,000 will die of the disease. This means that every 3 minutes of every day somewhere in the world a family receives the devastating news that their child has cancer. Children develop cancers that differ from those seen in adults (types of childhood cancers) and therefore the treatments are distinct. Thanks to advances in the field of childhood cancer treatments overall about 70% of children who develop the disease can be cured, but cure rates depend on the type of cancer. Moreover, for children with cancer where you live affects your chances of survival. Over 80% of the world’s children are born in low and middle-income countries with little or no access to the best modern therapy. Tens of thousands of children each year die needlessly of the disease, having never received effective pain relief. 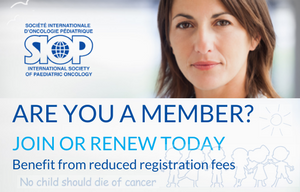 The Childhood Cancer International is a partner of SIOP, the only global multidisciplinary society entirely devoted to paediatric and adolescent cancer. 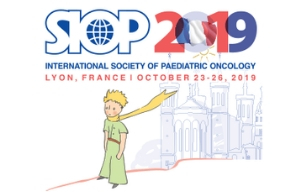 The World Child Cancer Foundation is a partner of SIOP, the only global multidisciplinary society entirely devoted to paediatric and adolescent cancer.